Let’s talk toilet paper. Might seem an odd topic, but this is serious. With the average buyambiencheap person using 20-40’000 sheets a year, there is a great potential to make a difference here. We have used recycled toilet paper for many years now. It seems like a simple way to make small difference. We didn’t understand why people we knew weren’t making this most basic change. Why? Our family or friends responded that the paper was scratchy or not thick like other less eco-friendly brands. Perhaps this was a concession we made without really noticing. We’re happy to be recycling Australia. 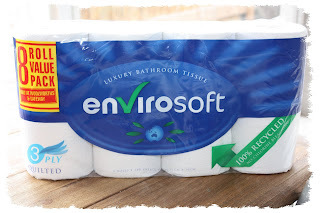 The penny dropped recently when I noticed this product: Envirosoft [Woollies/Safeway $5.99/8 Pack]. As well as the [obvious?] factors of no chlorine bleaching, no added inks or fragrances, 100% recycled content, it was marketed with 3-ply as a feature. Weren’t all toilet papers 3 ply, I asked myself? Sure enough when I compared it to the other recycled options they were 2-ply, and this was a more quilted paper that met its claim of a ‘luxury’ feel. Moreover this stuff is Aus owned and Aus made. We put it to the test and were impressed. All of this and the price is competitive. 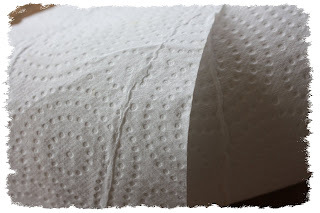 Even our sceptical family members are now making the switch to recycled loo paper and if you aren’t – it might be worth taking a look at this options and thinking twice. Pin and Win Competition - Pinterested? What is Pinterest anyway?